Kevin Durant is an established superstar player in the NBA and still has peak years ahead of him. 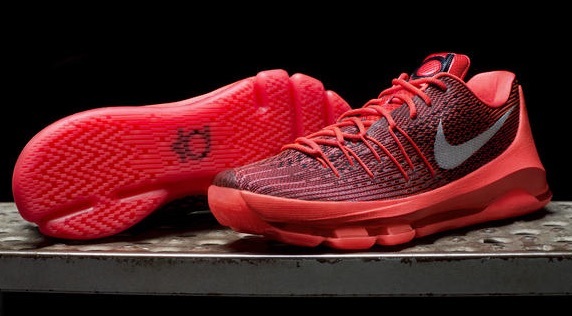 Because of this, the Nike KD sneaker line ranks near the top. 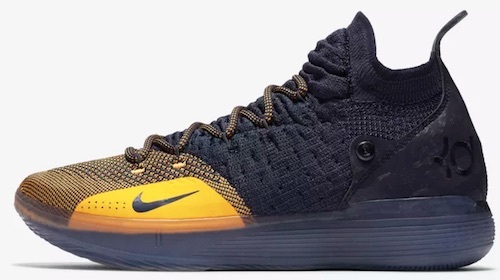 Given his immense popularity, tremendous scoring ability, and the Nike brand, his signature shoe, the KD, is an appealing option for casual basketball fans, Golden State Warriors supporters and the many sneakerheads. As a rookie for the Seattle SuperSonics, Kevin Durant signed the second-largest rookie endorsement deal, behind LeBron James. The second-overall pick in the 2007 NBA Draft declined a more lucrative deal with Adidas to ink a seven-year, $60 million deal with Nike. The Adidas deal was reportedly for $70 million and seven years. 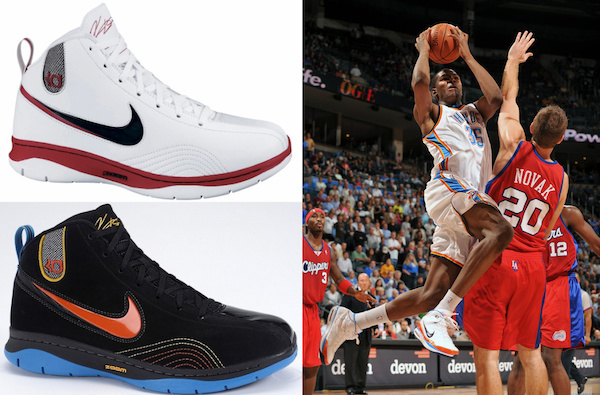 By the time his first shoe was released, the franchise had already made the move from Seattle to Oklahoma City. Despite playing for a small-market team, Kevin Durant was a unique star who remained humble and hungry. 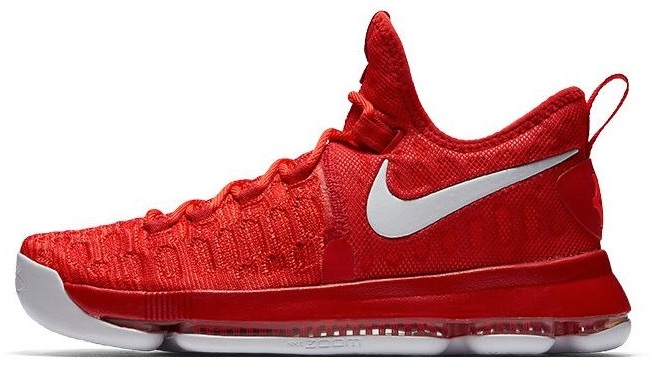 Shop for popular Nike KD editions at Foot Locker. His move to the Golden State Warriors did change his image somewhat but also put him on the path to greater superstardom, including back-to-back NBA championships and Finals MVP awards. 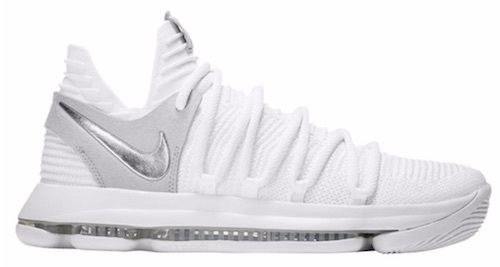 However, the KD has not quite approached the same level as other Nike signature shoe lines, like the Jordan, the LeBron or the Kobe. 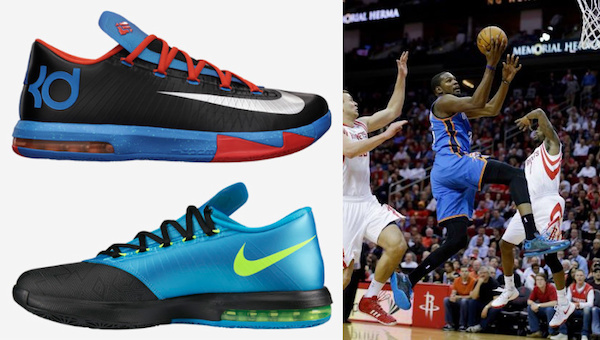 Despite being a basketball shoe, the KD has transitioned to a low-top design, similar to the Kobe. 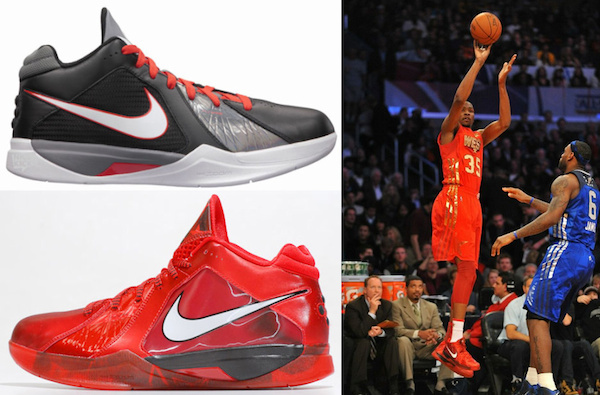 Additionally, the shoes are some of the cheapest available options in the Nike signature basketball lineup. 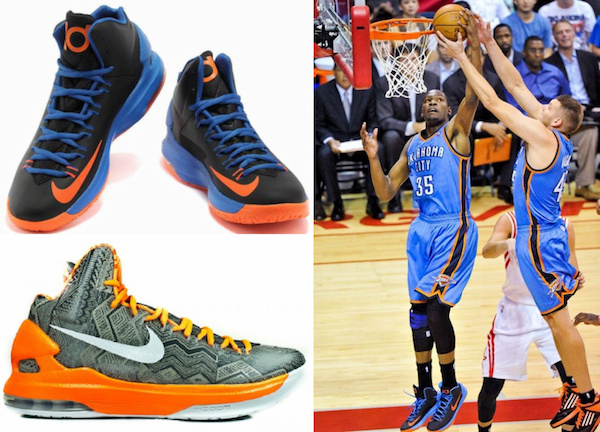 Originally, Kevin Durant shoes were under $100 a pair. 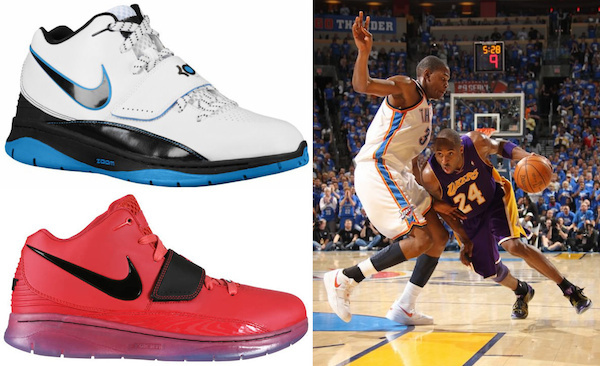 That changed with the Nike KD V, when they were raised to $115. 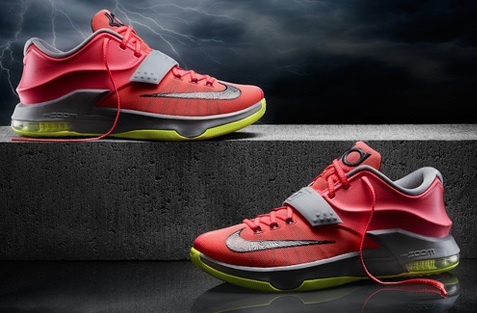 The Nike KD VI increased to $130 at the base level and the KD7 went up to $150. 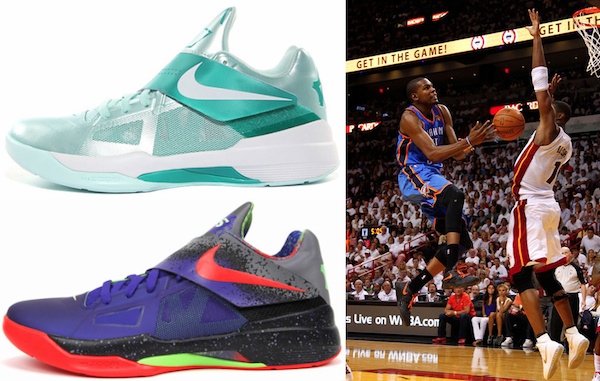 While certainly not cheap, the Kevin Durant shoes are more reasonable than the other top basketball shoes from Nike, which are mostly in the $200+ range. Each edition of the Kevin Durant shoe line can be seen below. The sneakers are listed in chronological order and note the season when it released. Click the listings below to shop for shoes on eBay.